"God has done nothing greater than the Incarnation of which the Church is the prolongation." "There was nothing but rubble everywhere, but the situation of a large cloister was still distinguishable, the walls of which had been razed almost to the ground … I found the expression of what I was feeling in these words of Isaiah: 'Your holy cities have become a desert, Jerusalem is a waste, our holy and glorious temple in which our fathers praised you… I besought God to raise up zealous men to rebuild all the ruins.'" He did not realise that he was to be one of those zealous men. Prosper Louis Pascal Guéranger was born on 4 April 1805, at Sablé-sur-Sarthe, not far from Solesmes. His early education was under the direction of his father, head of the school at Sablé. Very early he developed a passion for reading and all things ecclesiastical. In 1822 he entered the seminary of Le Mans. In 1826, the year before his ordination, he was appointed secretary to the bishop of Le Mans, Mgr de la Myre Mory. After his ordination, 7 October 1827, at the age of 22 (the bishop had to obtain a canonical dispensation), he continued to work for the bishop and when the latter died, as chaplain to the French Foreign Missions. On 11 July 1833, after more than 40 years of eclipse, he restored monastic life at Solesmes. Just 4 years later, in 1837, the Constitutions of his fledgling community were approved by Pope Gregory XVI, who even gave him the authority to launch a Benedictine Congregation from Solesmes. After a fortnight’s retreat at St Paul’s-outside-the-walls, his first stay in a Benedictine house, he made his solemn profession and was appointed abbot of Solesmes, without ever having made a novitiate or been a simple monk. He knew monastic life only from his wide and deep reading and his instinct for monastic good sense. His understanding of monastic life was a charism in the truest sense of the word. In an age which—if it thought about monastic life at all—focused on peripheral features such as the extremes of De Rancé’s Trappists or the intellectual work of the Maurists, Dom Gueranger went straight to the essentials: a life of prayer, obedience, frugality, withdrawal from the world in order to focus on the “one thing necessary”, lived in community under an abbot. 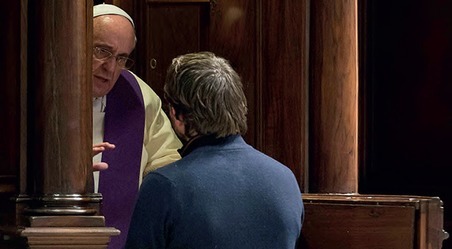 His enthusiasm for the liturgy and the encouragement he gave to his monks in the restoration of Gregorian chant—these were not mere expressions of optional spiritual tastes but sprang from his insight into the Christian life. For Dom Guéranger the monk is someone who tends towards God and who invites others by his example to tend towards God. The monk is a contemplative, and his contemplation, like that of the angels, expresses itself in a life of praise. In praising God, the monk is a sign to all in the Church of their primary duty to pray. According to Dom Guéranger the spiritual heart of the Christian life was the liturgical prayer of the Church. To recover the practice—and even the concept of daily prayer shaped by the liturgy—he published the first volume of L’Année Liturgique in 1841. "Happy is he who prays with the Church. Prayer said in union with the Church is the light of the understanding, the fire of divine love in the heart. Let not the soul that is possessed with a love of prayer be afraid that her thirst cannot be quenched by these rich streams of the liturgy, which now flow calmly as a streamlet, now roll with the loud impetuosity of a torrent, and now swell with the mighty heavings of the sea. 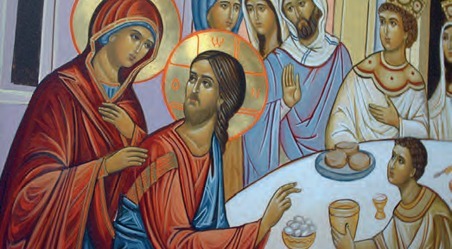 The liturgy is suitable for all souls, being milk for children and solid food for the strong, thus resembling the miraculous bread of the desert. Not only is the liturgy a true source of spiritual life; it is also the means par excellence to preserve and profess the truths of the faith. In the liturgy, wise theology and sound doctrine become prayer. "These words could be taken without exaggeration, as the signal which marks the beginning of the modern liturgical movement … His teaching on the Church as the mystical Body, the centrality of the paschal mystery, the doctrinal character of the liturgy, and his insistence upon the need to study the texts of the liturgy, all these ideas were absolutely original in the 19th century." In a tribute to Dom Guéranger on the occasion of the 100th anniversary of his death, Pope Paul VI called him the “author of the liturgical movement.” This understanding of the liturgy as the highest expression of the church’s life and the source of contemplation and holiness also gave rise to Solesmes’ critical study of Gregorian chant and the work of restoring the original melodies. It is important to remember in all this that The Liturgical Year was the work of a monk who preferred nothing to the work of God; Dom Guéranger the liturgical theologian cannot be separated from Dom Guéranger the monk who celebrated, prayed and chanted the liturgical year in choir with his brethren before taking up the pen. “How can anyone remain cold when singing about such things?” he would exclaim when commenting on the beauty of a text. His liturgical theology happened at the altar and in the choir stalls. It was lived by a community before it was written down. Dom Guéranger would not have become the beginning of the revival of the liturgical spirit in the church if he had remained a seminary professor. Instead he did the one thing which alone could save the liturgy from the hands of intellectuals, archaeologists and reformers: he revived the Rule of St Benedict and founded a monastic community. He realized that before all else the liturgy had to be lived, and that the Rule of St Benedict was a practical way of life, of which the liturgy was the foundation: "Without Dom Guéranger, no Solesmes; without Solesmes, no Beuron; without Beuron, no Maredsous; without Maredsous, no Mount-César; and without these two, no Abbot Marmion and no Dom Lambert Beauduin.” In spite of extreme poverty, limited resources, many setbacks and Dom Guéranger’s fragile health, Solesmes slowly prospered, thanks to the abbot’s spirit of faith and supernatural confidence that nothing could shake. Foundations were made, at Ligugé and Marseilles. Perhaps his most successful was for women at Ste-Cécile, Solesmes. The origin for this community lay in Dom Guéranger’s typically kind-hearted offer to undertake the First Communion preparation of a little girl who had missed making her First Communion with her class-mates because she had been ill. The child was eleven year old Jenny Bruyère. Dom Guéranger became a family friend and to Jenny a spiritual father, helping her break out of her shyness and obstinacy and also fostering her intellectual development. In 1866 she and a few others began a community of women along the same lines as the monks of S. Pierre (The titular name of Solemnes). Jenny—or Mère Cécile as she had become—was the superior but Dom Guéranger was the novice master, visiting the little community each day to inculcate all the best of monastic tradition. Outsiders were surprised when he insisted that the nuns learn Latin so as to better understand what they were chanting in choir. In spite of the poverty of the community every nun was given a Bible: this is the same period as St Thérèse of Lisieux who never had a whole Bible to read. There was the same emphasis as at S. Pierre on drawing spiritual nourishment from the purest sources—the liturgy, the Scriptures, the Fathers of the Church—and the same interior liberty of spirit. Today the Congregation of Solesmes numbers 32 monasteries, 24 houses of monks and 8 of nuns, including Quarr Abbey and St Cecilia’s Abbey on the Isle of Wight. Dom Guéranger’s work of monastic revival radiated far beyond the confines of Solesmes. The founders of the influential Beuron Congregation in Germany studied monastic life at Solesmes before reviving it in Germany and, later, in Belgium. His ideas entered the English Congregation through another enthusiastic disciple, Dom Laurence Shepherd, monk of Ampleforth and chaplain at Stanbrook, who translated his work into English. "His whole life was a life of prayer; and what he once read he never forgot, and could use it years after, when occasion served. In every line he reveals his burning love for the Church. This love for the Church might be called his ruling passion. It was his very life. "His deep love of the Church was in fact only a consequence of his love of Christ, and, for Dom Guéranger, that is the root, the basis of every monastic vocation. To prefer nothing to the love of Christ, to follow Christ means to be attached to the Church, his Bride, his mystical Body. For Dom Guéranger there is a close and vital connection between the monastic life and the Church. “The life of a monk is intimately linked to that of the Church. "The monastic life, like the Church itself, is a prolongation of the Incarnation: God has done nothing greater than the Incarnation of which the Church is the prolongation. Now the Church has a heart: the religious state. That is the most complete manifestation that there can be here below of the mystery of the Incarnation, by its exact reproduction of the life of Christ." "If I am worth the trouble of being summed up, my life has been nothing else than reaction against Jansenist tendency which is the greatest enemy of the whole economy of the relations of the creature with God". (letter to Dom Guépin 1874). Harsh, austere and puritanical, Jansenism and Jansenist ideas poisoned the life of the Church and perverted the Gospel message by its excessive rigorism, its doctrine of predestination and its obsession with the fundamental weakness of human nature vitiated by original sin. For Dom Guéranger the Christian life was nothing else than a response of love to the prevenient love of God, of which the Heart of Jesus is the most compelling sign. The Incarnation also lay behind Dom Gueranger‘s contributions in his Mémoire sur l’Immaculée Concéption (1854) and Monarchie Pontificale (1870) to the formulation of the two great dogmas of the nineteenth century: the dogma of the Immaculate Conception, the absolute purity of the sedes sapientiae; and the infallibility of the Holy See, the absolute integrity of the cathedra sapientiae. “The dogma concerning Mary and that concerning the Roman Pontiff are closely related, they both have their origin in the mystery of the incarnation. The Son of God needed a Mother; and after the Ascension, he needed a Vicar on earth". Jansenism was also Gallican and anti-papal. Dom Guéranger’s vision of the supernatural character of the Church made him implacably opposed to the Gallicanism of recent centuries where the French Church’s claim to independence from Roman “interference” had too often degenerated into Erastianism. Like many other clerical and lay writers of his time, he sought to protect the Church against political control from both modern secular regimes and traditional Catholic monarchies by calling for dependence on papal leadership. These writers were called 'ultramontane' because they looked for leadership 'over the mountains' from Rome. These men, like Ullathorne, Manning and Faber in this country, were responding to widespread social upheavals and frequent attacks upon the Church. It was against this background that he affirmed the Church’s universality, her unity and her liberty, because her existence and rights come from God. In all this, Dom Guéranger never confused unity and uniformity. The Church, he maintained, was a most diversified organic body, but one in which the members did not live except by being joined to the principle of unity, in the successors of Peter. Dom Guéranger was in England for the consecration of the Belmont priory church. From Belmont Dom Guéranger and Dom Laurence Shepherd embarked on a tour of England, beginning with Gloucester, Bath, Prior Park and Downside. It was at Bath that Dom Laurence persuaded him to have his photo taken. From Downside they proceeded to Stanbrook, where the abbot said Mass, and then on to Birmingham where they visited John Henry Newman. One would have thought that a wonderful friendship would arise from this meeting between two men who were both so full of love for the Church, both alive to the issues of the day and both steeped in the Fathers—Dom Guéranger’s life had found its direction from his devouring the folios of the Maurists in his seminary library, while it was his studies in the Fathers which showed Newman the weakness of his Anglican position: “I saw my face in that mirror, and I was a monophysite.” In fact, the meeting was a non-event. To all the Abbot’sconversational overtures, Newman was “unresponsive” answering only in monosyllables, according to Dom Laurence. He was wholly devoted to those in his care, admitting that “I am often more like a mother than a father.” At his funeral one of his monks, Dom Lemenant des Chesnais, prior of the monastery at Marseilles, said, “Each of us believed himself uniquely loved by him.” His door was always open to his monks, and one recalled how, as a young abbot, he did not hesitate to kneel and ask pardon when he lost patience. “When I get to heaven,” he used to say, “God will not ask me whether I have written books, but whether I have taken care of the souls entrusted to me... Love alone will give you the inexhaustible resources with which to lead them to God,” he counselled a convent superior. As a consequence of his ability to “plumb the depths of the heart” as one retreatant described Dom Guéranger, and by his sympathy and affection towards all, he exerted an influence over a large and varied circle that included men and women, young and old, the marble cutters whose works were near the abbey, the foremost spirits of the Catholic revival—Montalembert, Lacordaire, Louis Veuillot, Alfred de Falloux, Joseph de Maistre, to name but a few. It was after a retreat to Solesmes and with Dom Guéranger’s encouragement that Lacordaire decided to restore the Dominican order in France. St. Pierre Julien Eymard, founder of the Blessed Sacrament Fathers, was also a frequent visitor who sought out the abbot’s counsel. "Preserve us from the sad inconsistency into which many imprudently allow themselves to fall, accepting one day your guidance, and abandoning themselves the next to the prejudices of the world, leading a double life that satisfies neither the world nor you". (Gifts of the Holy Spirit, p115). "Encourage in every way you can a holy liberty of spirit among your monks and do everything you can to make them love their state of life more deeply than anything in the world. Make yourself lovable always and in all circumstances. Be a mother rather than a father to your children. Imitate the patience of God and don’t demand that spring bear the fruits of autumn. Be accessible to everyone; avoid formality and ceremony. Adapt yourself to everyone and don’t try to adapt others to yourself; for God has created us all different, and you are the servant of all, like Our Lord Jesus Christ". His last work was for Benedictine oblates, The Church or Society of Divine Praise. The day before his death he gave his last conference to the nuns of Ste Cécile. His body rests in the crypt of the abbey church at Solesmes; his heart, at his request, was placed at the foot of the altar at Ste Cécile. His cause has been introduced. Dom Guéranger‘s Liturgical Year in English has been reissued by The Saint Austin Press in 15 cloth bound, sewn volumes, complete with dust jacket and ribbons. If you can read French, the best biography of Dom Guéranger is that by Dom Guy-Marie Oury of Solesmes, Dom Guéranger: Moine au coeur de l’Eglise (Editions Solesmes, 2000); though most scholarly it is full of interest and has lots of pictures. The only biography in English is Dom Louis Soltner’s Solesmes and Dom Guéranger, translated by Joseph O’Connor (Massachusetts, Paraclete Press, 1995) shorter and with no pictures but a useful introduction. Much biographical material, however, together with pictures, is to be found in Sr Mary David Totah’s book, The Spirit of Solesmes (Burns & Oates, 1997, 266 pages) available from St Cecilia’s Abbey for £10. The Spirit of Solesmes is an anthology of the writings of Dom Guéranger, his second successor Dom Delatte,8 and his pre-eminent disciple, Abbess Cécile Bruyère. The Gifts of the Holy Spirit (St Paul’s Publications, 1998) combines in 141 pages two sets of reflections on the gifts, one by Dom Guéranger and the other by the former Archbishop of Milan and well-known spiritual writer, Cardinal Martini. Dom Guéranger’s On the Immaculate Conception, written four years before the definition of the dogma in 1854, is about to appear for the first time in English. (St Michael’s Abbey Press, Farnborough). Where St Martin had founded the first monastery in Gaul in 372; it remained a monastic site until the Revolution. Cuthbert Johnson, OSB, Analecta Liturgica 9: Prosper Guéranger (1805-1975): A Liturgical Theologian, Studia Anselmiana 89 (Rome: Pontificio Ateneo S Anselmo, 1984), p. 350. Damasus Winzen, “Gueranger and the Liturgical Movement,” The American Benedictine Review 6 (Winter 1955-56): 424-26. The second abbot of Solesmes, Dom Couturier, had been Dom Guéranger’s trusted prior and in turn had had the vision to make the young Dom Delatte his own prior. After the monks had been violently expelled from the monastery in 1880 (with Dom Couturier himself dragged from his choir-stall by the police) he held the community together and even saw it grow, but in the circumstances had no time for writing.